If you’re not making offers on bank owned properties (REO’s) or short-sales, there are some tips to follow to keep you safe. 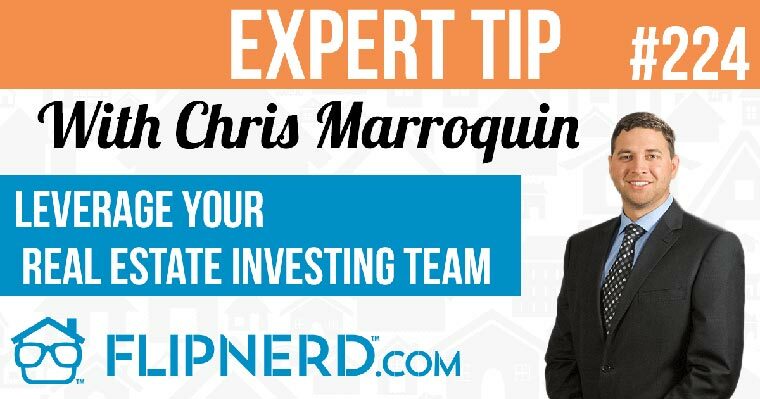 Lex Levinrad, CEO of the Distressed Real Estate Institute, shares more in this FlipNerd.com VIP Flip Tip. Mike Hambright: Hey, it’s Mike Hambright from FlipNerd.com and we have a quick VIP tip to share with you from Lex Levinrad, who’s going to share a tip on making offers on bank owned properties. Lex Levinrad: For those of you guys that are new, brand new, you look and learn how to invest in real estate, here’s a good tip for you. When you’re making an offer, I don’t care where or what state you’re in, you’re making an offer on a property, you’re looking for a bargain out there, it’s probably going to be an REO or a short sale; here are a few things for you guys to know. First of all, number 1; make sure you have an inspection period. Preferably at least 7 days on your contract, which means that even when you sign the contract, you make an offer to buy, you can still get out, you can still, four or five days into it, you can pull the wheels up and you can say, “Listen, I looked at the property and the price is too high, or there’s too much work to be done, or the comparable sales are lower than I initially anticipated, or my partner doesn’t want to buy it.” The reason doesn’t really matter, but you can cancel and you can get out, meaning that you are not actually committed to buying even though you’ve signed, as long as you have those 7 days. Just make sure you do it in writing and make sure you don’t call them and leave a voice mail on their phone because they might claim after the fact that they never got your cancellation, so make sure you do it in writing. Email is a valid way to cancel and also, another tip I’ll give you guys, when you are buying an REO or even a short sale, read what you’re signing. On short sales there could be deed restrictions. Make sure you’re aware of that and don’t sign that if that is going to be an issue for you. And on a REO there is an addendum; make sure you read that. Make sure there’s no [inaudible 0:01:34.4] for you to sign. If you don’t know how to read that, then ask an attorney to read it for you or even better, sit down with a cup of coffee and read it nice and slow. It’s all in simple plain English. Know what you’re signing and don’t be afraid; go out there and start making offers.